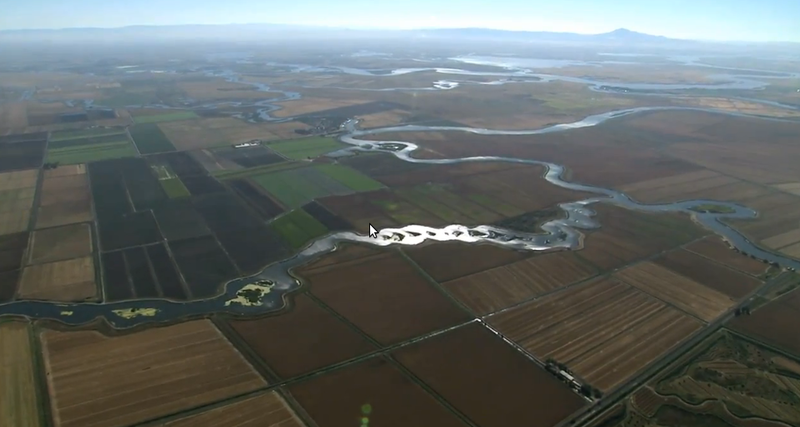 Like many of the world’s deltas, the Sacramento-San Joaquin Delta is in transition. 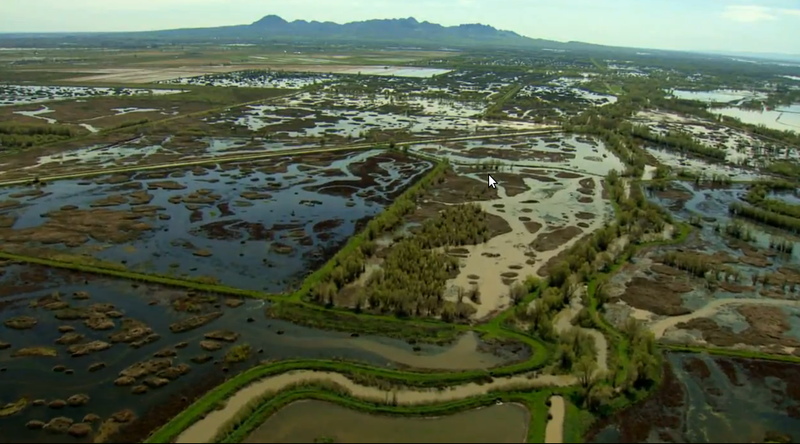 A deteriorating native ecosystem, conflicting water quality objectives, and a fragile levee system are all threatened by climate change and potential levee failures from a major earthquake or flood. Studies also indicate that major upgrades or repairs to some islands are not economically justified (Logan 1989; Suddeth et al. 2010). The physical, ecological and economic instability of some Delta islands is further illustrated by the gradual abandonment of islands by landowners in the last century (Big Break 1927, Franks Tract 1938, Mildred Island 1983, Liberty Island 1998). At some point, permanent flooding of more Delta islands is likely (Lund et al. 2010; Suddeth et al. 2010). The consequences of island flooding will depend on how the flooding is managed—planned flooding of one or more Delta islands is likely to be much less costly than a catastrophic, uncontrolled failure of levees from an earthquake or flood, and would allow more focused protection for other islands. Rather than waiting to let nature decide which Delta islands flood first, it might be prudent to experiment with a flooded island in the near future to assess its effects on neighboring islands and native fish (Moyle 2008). A well-planned transition to selected permanently flooded islands should also support better habitat restoration, recreation, water quality and mitigation for flooded property. California Water Code: While the newly updated California Water Code (2009) provides for flexible management, it does not contain clear legislative intent; interpretation of the law is left to the judge in any lawsuit. Further Delta management might benefit from amendments to the Code, including the removal of sections with unrealistic mandates that the Delta be preserved in its present form (12981). Land Use and Water Management Plan: A new plan is already required by law, with revisions due in January 1, 2012. This plan should address the need for an experimentally flooded island and acknowledge that some islands may not be economically sustainable. Endangered Species Act(s): It is unclear how both native and invasive species would react to a flooded island – invasive species flourish in permanently flooded Franks Tract, but not in Mildred. Mildred is also a source and exporter of primary productivity, which serves as food for desirable fish. This uncertainty would require state planners to apply to the National Marine Fisheries Service (NMFS) for a Section 10 Permit for Scientific Purposes, and prepare several detailed Habitat Mitigation Plans while applying for a Section 10 Incidental Take Permit. Bay-Delta Water Quality Control Plan: This plan does not provide for situations in which listed beneficial uses are in conflict, as water supply and native ecosystems are likely to be in the Delta (Lund et al. 2010; Hanak et al. 2011). Some salinity standards are also becoming unrealistic with rising sea levels. Experiments needed for adaptive management of the Delta will likely require exceptions to such rigid water quality rules, whether to examine flow effects or how best to manage or prepare to manage flooded islands. Inverse Condemnation Liability: A new state policy would also have to account for property losses from land use changes and levee maintenance, and prepare mitigation criteria for flooded landowners and landowners on nearby islands who might be affected by increased wave fetch and/or seepage. Compensation costs should be considered in making the decision on whether it makes economic sense for the state to flood or support abandonment of a particular island. Despite these challenges, it seems worthwhile to experimentally flood one or more islands. The 2009 legislation authorizing the current planning efforts in the Delta explicitly calls out for approaches that rely upon adaptive management (see previous blog post on adaptive management). The information learned from planned flooding, rather than uncontrolled flooding, will be of high value for adaptively managing the evolving Delta (see previous blog post on the future of a rapidly changing Delta). Hanak E., J. Lund, A. Dinar, B. Gray, R. Howitt, J. Mount, P. Moyle and B. Thompson (2011). Managing California’s Water: From Conflict to Reconciliation, San Francisco: Public Policy Institute of California. Logan, S.H. (1989). An economic analysis of flood control policy in the Sacramento-San Joaquin Delta, Contribution 199, California Water Resources Center, Davis, CA, June. Lund, J.R. (2011). No going back for the Delta, but which way forward? Californiawaterblog.com, June 22. Lund, J.R. (2011). Adaptive management means never having to say you’re sorry, Californiawaterblog.com, July 21. Moyle P.B. (2008). The Future of Fish in Response to Large-Scale Change in the San Francisco Estuary, California. American Fisheries Society Symposium. Suddeth, R. J. (2011). Policy Implications of Permanently Flooded Islands in the Sacramento-San Joaquin Delta. San Francisco Estuary and Watershed Science, 9(2). Suddeth, R.J., J. Mount and J. Lund (2010). Levee Decisions and Sustainability for the Sacramento-San Joaquin Delta. San Francisco Estuary and Watershed Science, 8(2). This entry was posted in California Water, Climate Change, Floodplains, Sacramento-San Joaquin Delta and tagged California, Delta, Delta islands, floods, levees, subsidence, UC Davis Center for Watershed Sciences. Bookmark the permalink.